We just recently finished our first six weeks of school and along with that our first artist and composer studies. I have divided our school year into six week blocks of time and during each of those six week blocks my sons are choosing an artist and a composer to study at length. 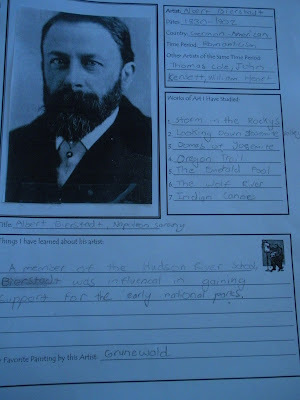 I have chosen artists and composers during the 1800’s time period to go along with our history time period covered in Tapestry of Grace Year 3. 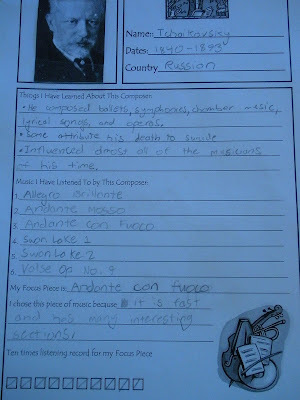 I have also chosen artists and composers that we may not have gone into depth studying before. Each week they have two art appreciation sessions and one music appreciation session planned into their school day. I made a list of artists and composers for them to choose from and they are allowed to choose the order of study. They really liked having that choice. High school is such a delicate balance of give and take, giving choices is one way to offer a little more freedom within their day. Along with that freedom comes responsibility and I think at least for this six week block, they both showed me that they are ready for these kinds of choices. The simple plans that I pulled together to go along with the Tapestry of Grace Year Three time period outline suggested ways to study the artist and the composer. They view the paintings, read a short biography, complete a simple notebook page, and then duplicate a painting or a portion of a painting as a follow-up using any medium that they choose. 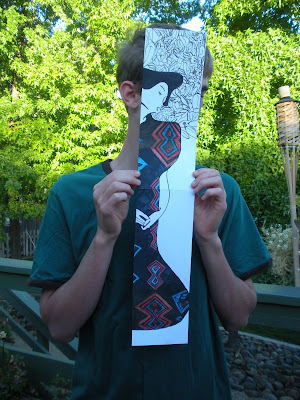 The photo at the top of this entry is the pen drawing of a Klimt painting that my son decided to work on. I love how he displayed his artwork in the photo, very creative indeed. For their composer study they are doing lots of listening. I love that they are listening more than I originally expected them to when I was making up the outline for their music study this year. It definitely lifts the mood in the afternoons. If you are interested in using these plans, I have made them into a PDF for you to download for free. These plans are available as a free download. Here are some photos/scans of their notebook pages. 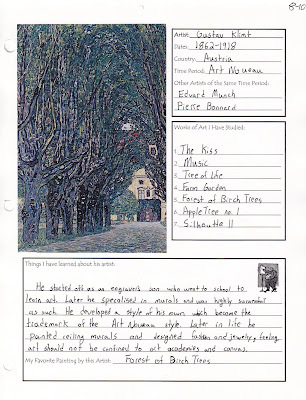 Even though this plan for art and music appreciation is very simple, it is powerful. 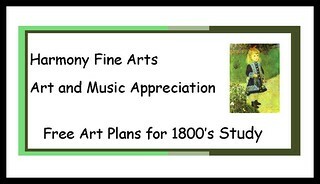 All of my high school music appreciation plans are free as downloads from my website: Harmony Fine Arts. It’s so cool, (to me), to see high schoolers notebooking. It’s even cooler that they’re boys! Anyway, I love the notebook pages they used! Did you make them? I’d love to get a copy. I did make the notebook pages but I probably won’t share them right now. I am trying to figure out if I want to package all my notebook pages up in a bundle at some point for high school and offer them on Lulu.com. My boys love notebook pages better than anything else for art and music appreciation. I think they do a great job of recording their experiences this way. I even have my own set for each composer that I have listened to over the last three years. It is great to add to them from time to time.